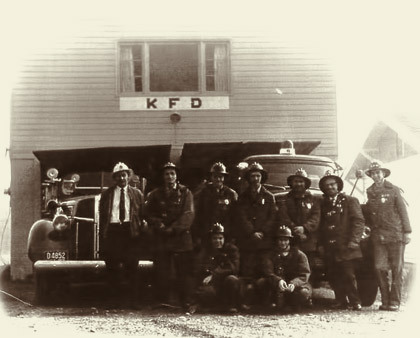 One of the earliest fire districts established in Kitsap County, KCFD #4 (Suquamish) was born on March 27, 1945. The Suquamish Volunteer Firemen’s Association started in 1947 with 12 members. Among that group: Roscoe and Herb Todd, father and brother respectively to LeRoy Todd to whom today’s Suquamish fire station is dedicated. LeRoy joined the department in 1950, and the Todd family remains an important part of the Suquamish community. One of LeRoy’s daughters currently works for NKF&R. The Association worked hard to get the equipment it needed. Firemen contributed dues to the group, and organized events to raise money. They enjoyed close ties and strong support from the community which contributed to their success. With the money they raised, the Association was able to make many purchases: air packs, boots, protective clothing, hose…even vehicles! The first phase of the current Suquamish fire station was built in 1962. Initial financing was obtained by selling cinder blocks to be used in the construction for fifty cents apiece. Once complete, the structure included a small amount of office space, a kitchen, a restroom and an apparatus bay with enough room for three rigs. The Association, continuing with its tradition of financial support, held a huge rummage sale that netted enough money to expand the apparatus bay to accommodate three more vehicles. It was around this same time that the Association began its most popular and successful fundraising event: the Suquamish Mothers’ Day Pancake Breakfast. In the early days of the event, enough funds were produced to purchase an ambulance! KCFD #5 was founded in 1946. Serving the communities of Indianola and Jefferson Beach, KCFD #5 relied on a strong corps of volunteers. In the early years, many of these civic-minded firefighters were men. But in 1959, it became apparent that the community was left virtually unprotected while the men were away at jobs in Seattle. The wives, who mostly stayed at home, were drafted into the department. This innovative solution was so unusual for its era that it attracted the attention of the Seattle Times, where an article entitled “Fire Lassies” appeared in August of 1961. When asked by a reporter if firefighting interfered with household chores, one of the “lassies” replied, “There have been a number of times when I would meet my husband at the door and say, ‘Dinner is on the stove — I’m on my way to a fire. '” Although housekeeping might have suffered, insurance rates did not. The article went on to report that since the women had joined the department, fire premiums had been cut in half! KCFD #10, serving the residents of Kingston, was established in 1947. But it wasn’t enough to officially become a fire district; the community still lacked the equipment necessary to battle blazes. So, the volunteer firemen found themselves doing more than practicing their craft; they had to become fundraisers. 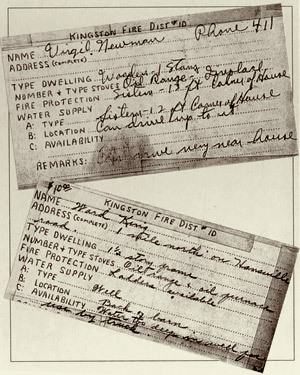 The early money-raising drives involved getting $10.00 contributions from residents, and included an early form of “pre-fire planning: donors were asked to fill out cards listing info about their properties such as water supply, ladders, etc. In those days, many Kingston residents still didn’t have telephones. One homeowner left his wife to battle a fire with a garden hose while he made the fifteen minute trip to the fire hall for help. Residents who did have phones simply picked up the handset to find the Kingston Operator on the line. It was part of her job to connect calls and dispatch emergency services. It wasn’t too much of a burden, though—the department is estimated to have responded to less than fifty calls a year then. By 1976, the district had grown beyond its original station, located on Ohio Avenue. Kingston Fire Department now had five apparatus, and was operating from a two-bay station. Three rigs were relegated to the outside which greatly affected wintertime responses. A construction bond issue was proposed and passed, and by the summer of 1977, a new headquarters station was built along SR 104. 1960’s photo of Kitsap County Fire District #10 in Kingston. 1982 saw the hiring of the district’s first paid member: a fire chief. Although citizens had been receiving emergency medical services through mutual aid and contracts with other agencies, demand for advanced life support services led the department to hire its first paramedics in 1986. Kitsap County Fire District #14 grew out of the Hansville-Eglon Community Club which was founded in 1940. The Club took on several fundraising projects – including a rodeo – with the goal of acquiring equipment for the department. In 1949, with almost $500 on-hand, the Club began the petition drive that would result in the official formation of Fire District #14 in September of 1951. A used fire truck, a ’37 Dodge, was purchased from the Lake City Fire District for $1,100 and a barn at Hansville and Gust Halvor Roads was pressed into service as a fire station. Also in 1951, the department moved to another building, placed near the barn after being floated and skidded from its former perch at the old Hansville ferry dock. Built on land donated by the Zimmer family, the current Hansville station was constructed with volunteer labor and completed in 1961. Blocks used in the structure were paid for one at a time. 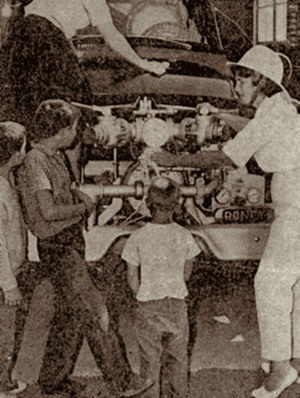 Also, the district purchased its first NEW fire engine that year. The areas south of Weaver Pass, including Eglon, were annexed into the district in 1964 following a vote in which 72% of the residents supported the idea. In 1989, Fire District #14 hired its first full-time firefighter and the station’s meeting room was remodeled to provide space to house an ambulance. 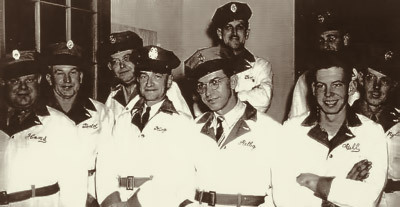 Throughout its history, the district got its emergency medical service (EMS) from the volunteers of Kingston Ambulance. But in 1977, an EMS levy was approved and shortly after, Fire District #14 contracted with Fire District #10 for advanced life support (paramedic) services. Citizens in neighboring districts saw the changes and grew interested in closer cooperation with KCFD #10. One citizen from Indianola, Peg West, felt that merging with Kingston would provide her neighbors with a more responsive and cost-effective service. Ms. West went door-to-door and collected signatures from more than 60% of the district’s voters. With so many signatures, a merger election wasn’t necessary, and in 1987, the two districts became one. In Suquamish, district administration had been struggling with options for providing advanced life support services to its citizens. Rapid growth and increased demand for services compounded the problem for the small district. It became apparent that sharing resources with a larger district would benefit the community. In 1993, Suquamish and Kingston Fire Departments agreed to consolidation and, in November of that year, Suquamish voters overwhelmingly approved a merger proposal. KCFD #4 formally joined forces with KCFD #10 in 1994. Following the mergers, it became apparent that the expanded district needed a more descriptive name. The district settled on one that would more accurately reflect its increased capabilities and service area: North Kitsap Fire & Rescue. Ready to build a new facility that could accommodate full-time staffing, the Board of Commissioners for Kitsap County Fire District #14 knew that their tax base alone could not fund the personnel required to bring this enhanced service to Hansville and Eglon. In early 2000, the Board began seeking merger partners. After details were hammered out in the ensuing months, the voters served by KCFD #14 gave strong approval to two ballot measures that paved the way to merger. KCFD #14 became a part of NKF&R on January 1, 2001. 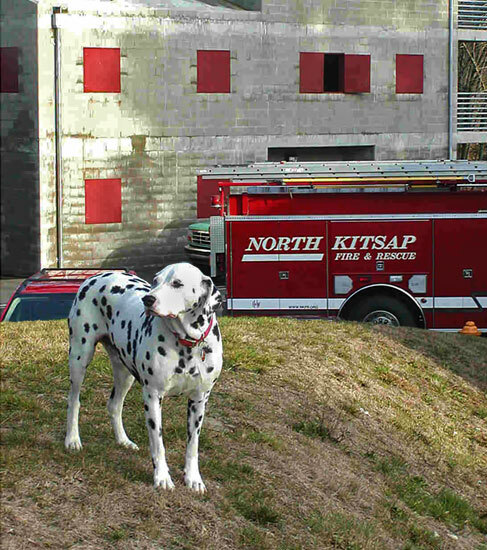 Our dalmatian, Blaze, became a member of North Kitsap Fire & Rescue in 1994 at the tender age of eight weeks when he was donated to the department by the Steele family of Kingston. Blaze’s service came to an end when he passed away at the age of 13 on February 12, 2008. Blaze actually lived at one of our fire stations where he was cared for by the firefighters. Human department members contributed monthly to a fund that paid for their spotted friend’s food and veterinary bills. Blaze had an important job with NKF&R, helping us to teach children about fire safety and injury prevention. He even knew how to “stop, drop and roll,” and he loved people—especially children. Blaze enjoyed overwhelming support when he needed it most: a serious medical condition depleted the firefighters’ funds that are set aside to pay for his care. Community members caught wind of his predicament and organized a number of fundraising activities to help. More than enough money was donated to pay his bills (including a large contribution from Blaze’s vet, Dr. James Moore), and the excess was invested in veterinary insurance. Blaze has become so famous and so popular that when we celebrated his 10th birthday, nearly one-hundred community members joined with dog-friends at his party which included cake, a scavenger hunt and a special puppet show. Instead of presents, Blaze’s firefighters asked that guests bring donations to benefit the Kitsap Humane Society and the Susie Fund for medical care at Apple Tree Cove Animal Hospital.